Nighttime teeth grinding and clenching (bruxism) and TMJ dysfunction may not seem to be related, but in many cases, the two oral health conditions are connected. They can also both be treated using customized mouthguards worn during sleep. If you need help relieving jaw pain or protecting your teeth from excessive wear and damage caused by nighttime grinding and clenching, a custom crafted nightguard from the DeLand dental office Christopher J. Cowell, DMD may be just what you need. If you want to learn more, call our dental office in DeLand to schedule a consultation appointment with Dr. Cowell and his caring dentistry team. We will recommend customized nightguards for many situations, but two of the most common reasons patients need to wear a mouthguard at nighttime are bruxism and TMJ dysfunction. Chronic, nighttime teeth grinding and clenching can occur for a number of reasons. Some people only experience bruxism when they’re stressed or anxious. Others are shifting their jaw at night in a constant search for a more comfortable alignment due to less-than-ideal bite position. Some people seem to grind and clench their teeth for no reason at all. Whatever causes bruxism, nightguards can be an effective treatment to protect teeth from excessive dental wear and damage. The temporomandibular joints (TMJ) are the small connective tissues that attach the jaw to the skull, allowing for smooth movement when you speak, chew, and smile. Unfortunately, when these small, triangular joints are damaged or overworked, the result can be painful or impeded jaw movement, making a laugh or yawn a painful situation. Nightguards can be crafted to hold the jaw in its ideal resting position during sleep, preventing excess strain and relieving the pressure on the TMJ. Over a few weeks of wear, most people see significant improvement in their symptoms. To maintain results, you may need to wear the appliance even after symptoms subside. The main benefit of using nightguards to treat bruxism or TMJ dysfunction is that they are a completely noninvasive solution. 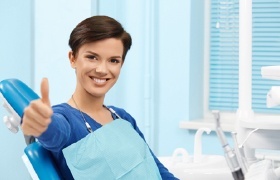 In most cases, patients simply need to visit their dentist who will capture an impression of their teeth. Then, the lab will craft a custom nightguard. You simply need to wear the nightguard as directed. After just a few days wearing their nightguards, people start to see dramatic improvement in discomfort associated with both bruxism and TMJ dysfunction. Finally, nightguards are also a cost effective solution, compared with more invasive options that will take longer to be effective. Whether you need a basic shield for simple bruxism or a more advanced appliance for TMJ. The material used to craft your nightguard. There are typically hard and soft options that vary in pricing. 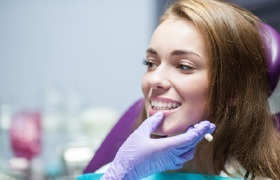 The availability of dental insurance will also impact your out of pocket costs. Some insurers do offer coverage for these oral appliances.